Are you a person that just enjoys some cocktails every now and then, or are you the person that knows the exact differences between bourbon, whiskey, and scotch? 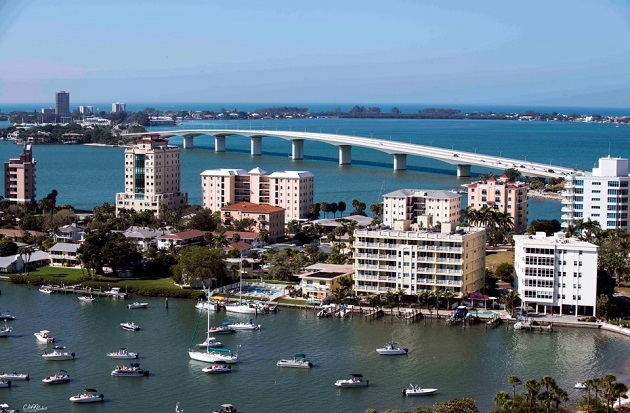 Either way, Sarasota has the perfect event for you going on this weekend. For the seventh year in a row, the biggest whiskey fest in the United States will be happening right here in Sarasota. Partnering with Bourbon Women, the Sarasota Whiskey Society, and the Black Bourbon Society, this year’s festival will feature individual events at multiple locations throughout the weekend. Events include masterclasses, panelist discussion, tastings, pairings, and more! You may also see more Irish, Scotch, and Japanese whiskeys this year as well. As part of the Whiskey Obsession Festival, the Hyatt Regency Sarasota will host a grand tasting event on April 12 beginning at 7:30 p.m. Featuring distillers from all over the world as well as some local to Florida, this tasting offers choices of hundreds of whiskeys and cocktails. Three ticket levels are available for purchase. The Sarasota Yacht Club is also celebrating the Whiskey Festival. On April 13 from 11:30 a.m. to 2 p.m., you’ll have the opportunity to hear from three women who are making an impact on the whiskey industry. Each panelist has two whiskies to pair with an exclusive menu created by the Executive Chef at Sarasota Yacht Club. Including meal, whiskeys, and a commemorative tumbler, cost is just $40 per person. This event is open to the public. You do not have to be an SYC member. There’s no better way to wrap of the Whiskey Fest than at Smokin' Joes on April 13. This event starts at 4 p.m. and ends at 6 p.m. So, you’ll get two hours with the hosts of Sips, Suds, and Smokes radio show while you wind down with cigar and whiskey pairings. The cost of $25 per person includes cigars and drinks. On April 13, head over to The Bazaar on Apricot & Lime for this amazing event. The Bloody Mary bar opens at 11 a.m., and the fashion show runs from 12 to 1 p.m. It’s the perfect time for this fashion show featuring swimwear collections JP Holahan and IF by Roxanne. Come see all the new styles before buying this season’s new bikini. You can shop after the fashion show. All proceeds are donated to Every Child, Inc. benefiting the children of the community. Are you ready for some music? Sarasota Sky is hosting Reverend Barry and the Funk on April 12 beginning at 8 p.m. and running through midnight. This local Sarasota soul band is the perfect backdrop to an awesome Friday night party. The cover charge is $10 and includes one free drink. So, come out and enjoy a night with other Sarasota locals and some soul music. If you’re looking for a relaxing weekend just sitting back and enjoying some adult beverages, you can do that at any of the events happening this weekend in Sarasota. With so many amazing things to do, your weekend can be packed full of fun and relaxation. Looking for the best way to enjoy music in Sarasota? Check out these The Best Live Music Venues in Sarasota by registering on 941area today for free!